Microsoft Word Viewer is a discontinued freeware program for Microsoft Windows that can display and print Microsoft Word documents. 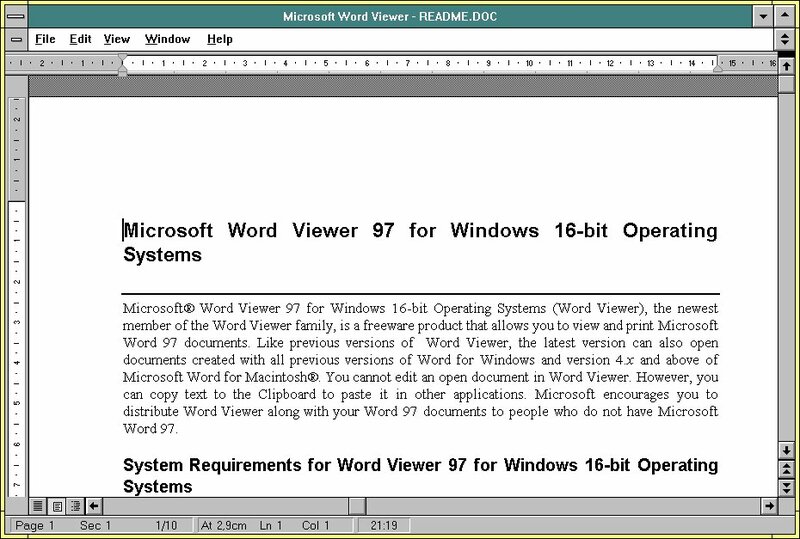 Word Viewer allows text from a Word document to be copied into clipboard and pasted into a word processor. 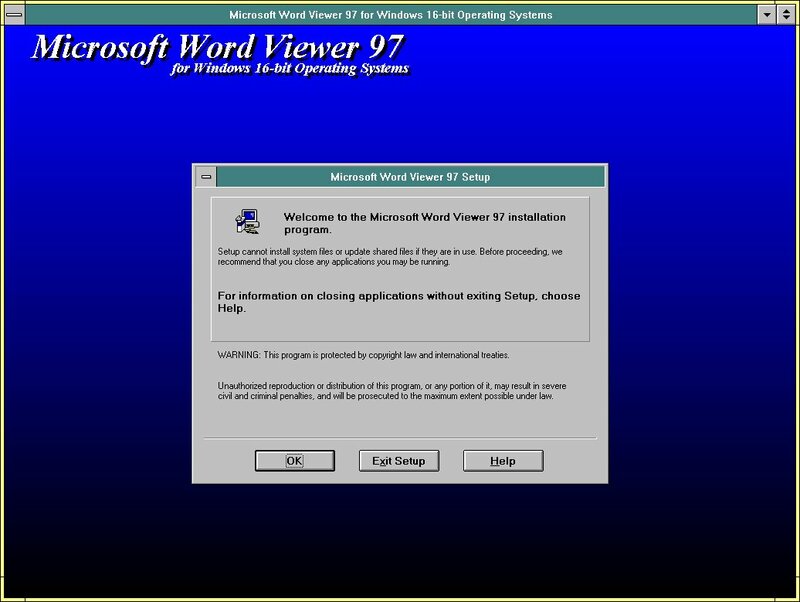 Word Viewer 97-2000 was released on 17 March 1999. It opens documents that are created with Word 97, Word 2000 and Word for Mac v4.x and later. It was available for Windows in 16-bit and 32-bit versions. It can display Word documents in Internet Explorer 3.x and later.